This "minor light" was on Muckle Roe until 2001, when it was replaced by a solar-powered light (see HU3062 : The "minor light" on Muckle Roe). 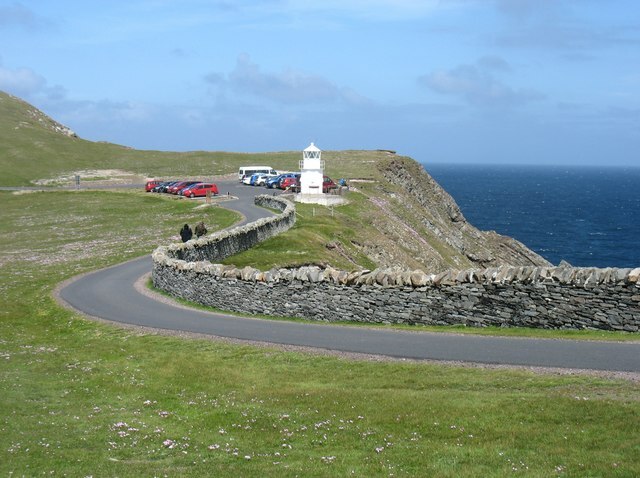 Moved here to adorn the Sumburgh Head car park, it is clearly decorative, not functional. There is a full-sized lighthouse about 300 metres behind the camera!